When it comes to Daylight Saving Time (DST) in Montreal, in the spring, you move the clocks forward, while in the fall, you set them back. This time change happens twice a year in Montreal, as well as in most of the province of Quebec and in many parts of the world. Note that the far east Quebec regions of Basse-Côte-Nord and Îles de la Madeleine do not shift to DST and remain in Atlantic Standard Time year round. Most of the province of Quebec is in the Eastern Standard Time zone and8 when in DST, in the Eastern Daylight Saving Time zone. For a detailed account of time zones in Quebec, consult the Legal Time Act. DST allegedly helps reduce energy consumption, which is its official raison d'être (purpose). The second Sunday of March is when residents must spring forward, setting clocks one hour ahead. Most people do this before bedtime on the Saturday preceding the Sunday. 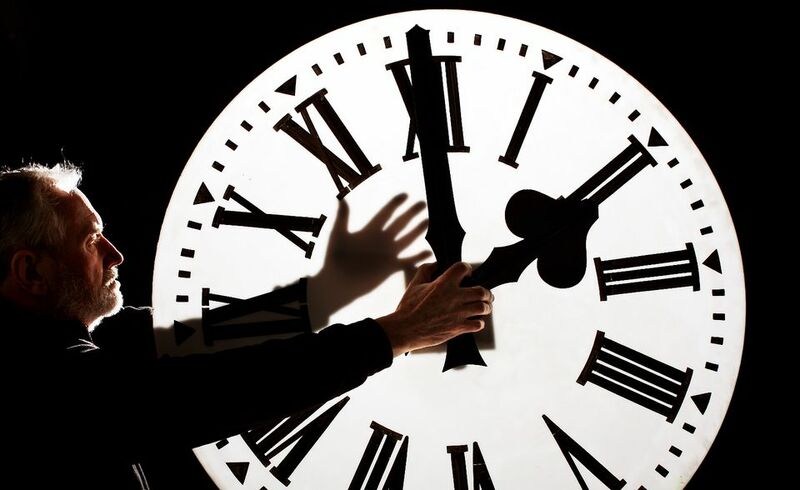 The time changes to DST at exactly 2 a.m. Sunday morning, which means 2 a.m. becomes 3 a.m. The first Sunday of November is when residents must fall back to Standard Time, setting clocks one hour behind, again, before bedtime on the Saturday preceding the Sunday. The time shifts to Standard Time at exactly 2 a.m. Sunday morning, which means 2 a.m. becomes 1 a.m. Shifting the time by as little as one hour can upset the body's natural rhythm. Gaining an extra hour of sleep by falling back into Standard Time in the fall is good for the heart. But losing one hour in the spring is another story. Considering the U.S. Centers for Disease Control claimed in 2016 that more than one-third of Americans were getting less than seven hours of sleep a night. This went along with the National Sleep Foundation's 2014 finding that 45 percent of Americans say "that poor or insufficient sleep affected their daily activities at least once in the past seven days." Among other concerns, including the Canadian Centre for Occupational Health and Safety's report that collisions in British Columbia "on the first Monday after the spring time change increased by 23 percent from 2005–2009," Business Insider cited a 2008 study where the suicide rate in Australian men was shown to increase in the weeks following the onset of DST, when clocks are set forward one hour. But one caveat. Because this is correlational research, it's hardly conclusive. There's no proof the time change is the reason collisions or suicide rates went up. In other words, just because B happened after A occurred doesn't mean A caused B to happen, the inherent problem with a significant chunk of the research cited in relation to the time change. The time change is believed to disrupt circadian rhythms, the body's natural sleep-wake cycle. It's also been suggested that it's more disruptive than comparable jet lag. Go to bed 10 to 15 minutes earlier a few nights before the time change and wake up 10 to 15 minutes earlier for gradual ease into DST. Even a two-day head start is better than nothing. Don't take a nap the Saturday afternoon before the Sunday time change. It will only exacerbate the problem. Get some sun first thing Sunday and Monday morning to help reset your body's internal clock. Avoid evening light the Sunday of the time change as well as the Monday after to further strengthen the reset.